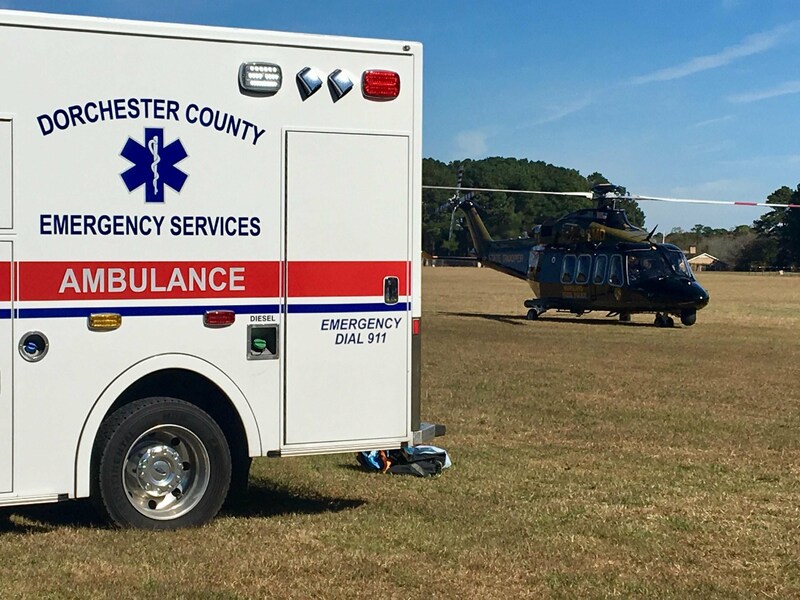 Dorchester County Emergency Medical Services (DCEMS) is a career department with five 24/7 advanced life support (ALS) units in four stations across the county. EMS in Dorchester is supported by dedicated volunteers who maintain their own ambulances as well. All DCEMS providers are certified and licensed by the State of Maryland and complete a rigorous precepting program to ensure the highest quality of care is provided within our county. Led by Chief Andy Robertson, the EMS division is committed to providing a professional environment that fosters excellent medical care and a service-first attitude for our community.